A San Diego Treasure, The Rancho Bernardo Winery. This past weekend I had the good fortune of attending the Bi-Annual Rancho Bernardo Winery Arts and Crafts Fair. 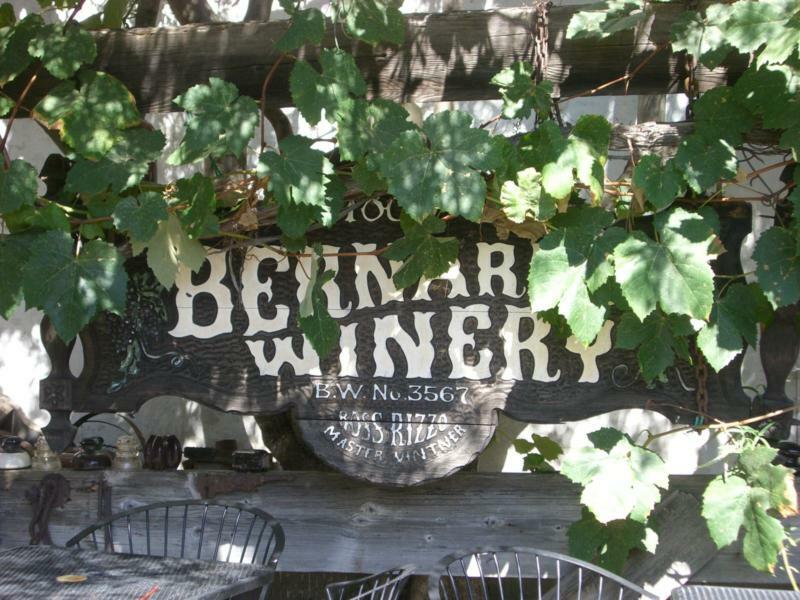 For those of you who live in San Diego that don’t know of this place, it is one of the oldest continually operating wineries in southern California. And for those who don’t live here, this needs to be on your itinerary the next time you visit. The Rancho Bernardo Winery was founded back in 1889 on what was a Spanish Land Grant, the winery was opened and operated until Prohibition. The winery is located in a valley that used to be covered with vineyards and with the advent of Prohibition, the winery went up for sale. When it was purchased in 1927 by Vincent Rizzo, the harvest was then used to produce grape juice and sacramental wine. After Prohibition ended, the winery became a major wine producing company along with it’s famed Cold Pressed Virgin Olive oil made from the many olive trees that were found on the property. As the valley began to grow and the land was purchased for residential development, the vineyards disappeared and today, the Rancho Bernardo Winery imports most of its wine making grapes from around the county and state. In 1962 when Ross Rizzo, the son of the founder took over the winery, he turned it into what it is today, a destination. When you visit the Rancho Bernardo Winery, you will be overtaken with the vast amount of antiquities found everywhere on the property, even to include a museum. There are over a dozen village shops, a wine tasting room, a coffee shop, an award winning cafe and more charm than you can fit into an afternoon. The Arts and Crafts Fair was filled to capacity with local artists showing their creations. I was taken with several of them for their unique design qualities as well as with the artist themselves. Two artists that create these sculptures from gourds really caught my eye. Ruth Phillips and Vickie Echols proudly display their creations. Each artist creates their unique pieces using the gourd as inspiration and from there, their artistry takes over and you can see here for yourself, each one is its own little unique masterpiece. Ms. Vickie Echols (on the left) creates beautiful object d’arts using gourds as the core of the piece then enhanced with a woven reed type material. Many of her pieces have a distinct Southwestern influence. Each one is totally unique and a real stand out. Ruth Phillips also uses gourds in her designs ( one of my favorites that first got my attention is the purple gourd pictured here) some of which also have the look of metal sculptures like her bird collection. Ruth’s Bird designs are made completely from gourds or cuttings from gourds finished in metallic finishes that would simulate aged and weathered bronze. These pieces are truly stunning! Both Vicki and Ruth will showing at the 13th Annual Gourd and Fiber Art Show May 17th through June 28th, 2009 at the Falbrook Art Center. Though Mother’s Day today is one of America’s most successful commercial holidays of the year, it’s origin and how it became significant across America has a long history. Many women have done and contributed much to the history of America. Some would argue that the observance of honoring mothers had its origin as far back as the Egyptians, but many historians credit a social activist by the name of Julia Ward Howe and a school teacher by the name of Ann Marie Reeves Jarvis for our modern-day holiday. The Governor signed into law a senate bill that provides New Home Buyers with a tax credit when they purchase New Construction as a primary residence in California. Between March 1, 2009 and March 1, 2010, New Home Buyers can earn a tax credit up to $10,000 on a qualified personal residence. The qualified property an be a single family home or an attached property. There is 100 million in tax credit available so it will be available on the next two years on a first come, first serve basis. The Buyer must occupy the New Home for at least 2 consecutive years after the purchase. Are Reverse Mortgages Your Golden Egg ? With our economic system in a tailspin, for the older generation hit the hardest by declining fortunes coupled with the rise of unemployment, property values and retirement investments,there may be yet another way for them to tap into the greater amount of their home equity in these hard times. For home owners that are age 62 or older and have a good amount of equity, Reverse Mortgages may be their Golden Egg that helps them through the tough times and ensures they can stay in their homes. While there are scores of Reverse Mortgage offerings out there from private companies and even some state and local government types, the federally insured Home Equity Conversion Mortgage might be a good place to start in the discovery of the costs and requirements to see if the idea of a Reverse Mortgage is your Golden Egg. Authored by William Johnson | Discussion: Comments Off on Are Reverse Mortgages Your Golden Egg ?